On Second Thought: Why Did This Donor Withdraw a Naming Rights Gift? We've written occasionally about controversies surrounding naming rights at the university level. As as far as controversies are concerned, they're relatively simple affairs. Donor in question gives a big gift in exchange for naming rights. Factions associated with the recipient organization disagree. Controversy—and oftentimes, litigation—ensues. News out of Ann Arbor, Michigan reads like a textbook naming rights controversy with an added bonus: a provocative dollop of irony. Let's set it up for you. Back in late April, University of Michigan Regent Mark Bernstein and his wife, Rachel Bendif, gave $3 million to this school to fund a new building, Bernstein-Bendit Hall, to house the William Monroe Trotter Multicultural Center, a place where all students can "develop a better understanding and appreciation for the multicultural diversity of the university." At the time, the Board of Regents approved naming the new building Bernstein-Bendit Hall. There's just one problem. 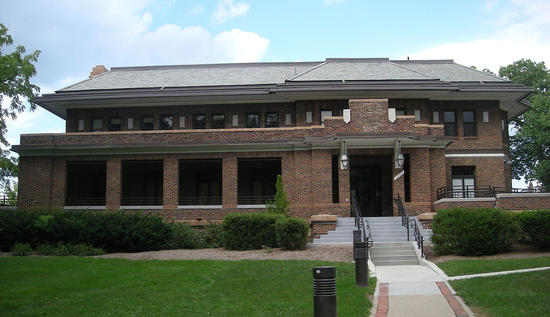 The William Monroe Trotter Multicultural Center is the only building named for an African American on U-M's Ann Arbor campus. Renaming it the diversity-focused Bernstein-Bendit Hall would leave the campus without a building honoring an African American at a university with over 43,000 students. The Detroit Free Press reports that after the gift was announced, U-M officials began to hear from students, faculty and staff who were glad for the gift, but displeased to have Trotter's name taken off the building. Bernstein was aware of these concerns as well. Faced with the pushback, Bernstein and his wife withdrew their gift, ensuring Trotter's name will remain on the building. "The intention of the gift wasn't to cause problems, but rather to support multiculturalism on campus," Bernstein said. "In our increasingly divided and divisive society, we feel not just motivated, but obligated, to stand publicly for a broad and inclusive approach to multiculturalism," he said. "What we saw as a gift, others thought of as a loss." Bernstein's choice of the word "loss" has added weight to it. The $10 million construction project, which is slated to open in 2018, is nonetheless $3 million in the hole. It's not clear how the university will make up the funding, but the project will continue, U-M spokesman Rick Fitzgerald said. Bernstein's withdrawal underscores some of the thornier elements of naming rights. Obviously, it's not our money, and if the couple expects to secure their name on a building in exchange for their donation, that's their prerogative. We also aren't privy to the negotiating details between the couple and the university. But donors give anonymously all the time. Shouldn't the impact of the donation override the pomp and circumstance of simply putting a different name on a building? Maybe. As we noted in the aftermath of the Paul Smith's College naming rights imbroglio, there is no such thing as a "naming gift" in philanthropy. Nonetheless, we haven't heard the last of the Bernsteins. According to the school, he and his wife will "look for other ways to help support multiculturalism on campus."